It’s hard to believe that only three years ago, InVision was a two-person startup building a specialized SaaS tool for designers. In those early days, co-founder Clark Vahlberg sent and replied to the vast majority of customer emails. As a designer building for other designers, he firmly believed in the importance of providing personal attention to his customers. But as one might imagine, this strategy didn’t scale well. 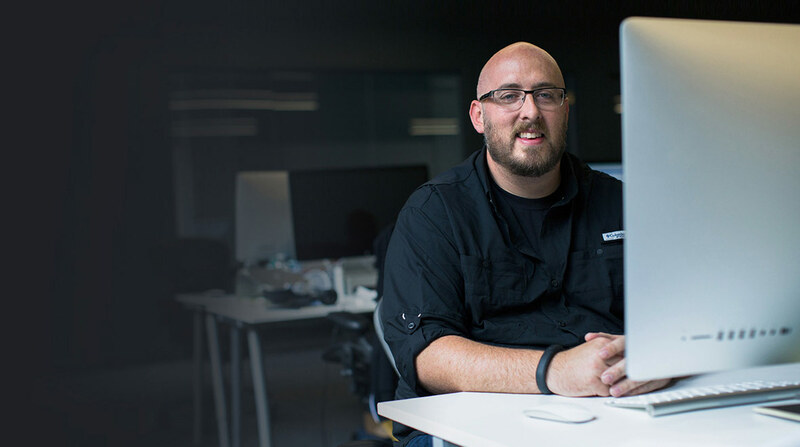 Ben joined InVision in 2014 with the task of providing a personable customer experience, from the moment a user signs up to the day he or she unsubscribes from all InVision messages. Another problem it faced as it scaled was the quality of Support. 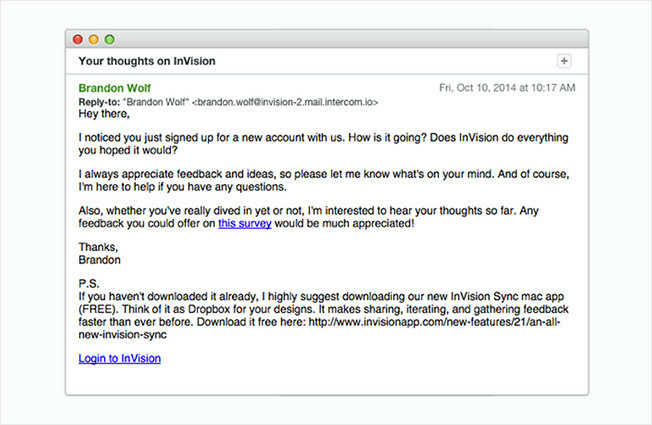 Before Intercom, InVision used Help Scout, a popular ticket-based help desk solution. However, Ben said that most of the time, customers wrote in about things that required a long-tail conversation. InVision uses Intercom to maintain a 365-day lifecycle of automessages, triggered by time since signup, as well as events like an upgrade, downgrade, or use of certain features. It also holds some Support-related conversations in Intercom. An in-app message sent 1 week after a signup. Filter for the above in-app message. This message helps gauge the onboarding experience and identify any pain points that aren’t obvious through event tracking. It’s also an important touchpoint for increasing user engagement. 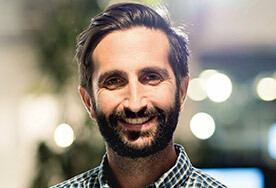 “Adding a postscript is a pretty simple way to draw extra eyeballs to a certain call to action,” Ben notes. An in-app message announcing a new feature. Gifs add delight. Ben also moved more open-ended Support conversations to Intercom, where InVision employees are able to “close the loop” better. 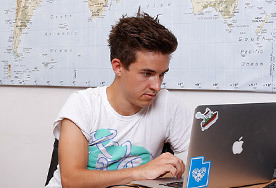 Helpscout was great for showing fast response times for customers’ issues, but not necessarily the right tool for managing the experience of other types of queries, specifically feature requests or bug reports. Thanks to the ability to send highly targeted, personalized messages, InVision has managed to grow its user base while keeping customer-facing teams streamlined. Nowadays InVision enjoys email open rates of over 75%, and has a robust community of more than 500,000 customers–an incredible figure after only three years! Founded in 2011, InVision is a collaborative prototyping tool. It allows designers to build interactive, high-fidelity, realistic web and mobile mockups and prototypes.